Premium version with good detail in web 2.0 design style. 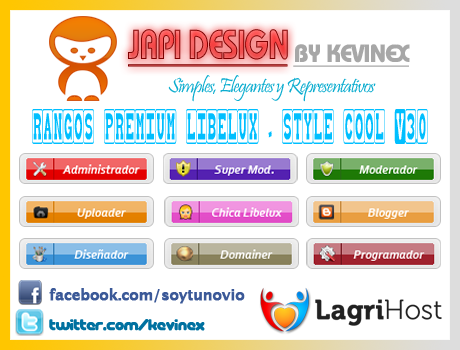 Includes PSD and Font, English and Spanish version. This pack includes images in Spanish and English for any version of MyBB. Includes psd and font to edit to your liking. Thanks for your interest, I hope you enjoy it..
Rank with effect from star colors rank. 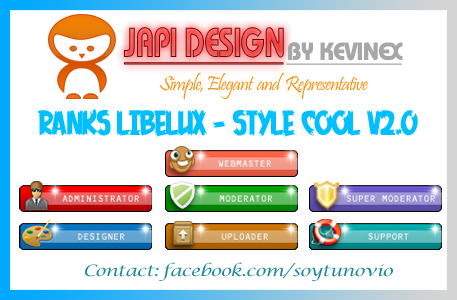 Includes PSD and Font, English and Spanish version. A set of shiny group images in 7 different colors. Twelve rank images in a light ice-blue color. Rank for your forum, simple, elegant and representative. Spanish and English.